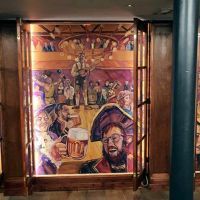 Opened in 2017 in the heart of Edinburgh, Brewhemia is now the city’s largest restaurant and bar hosting five separate areas spread across two floors. 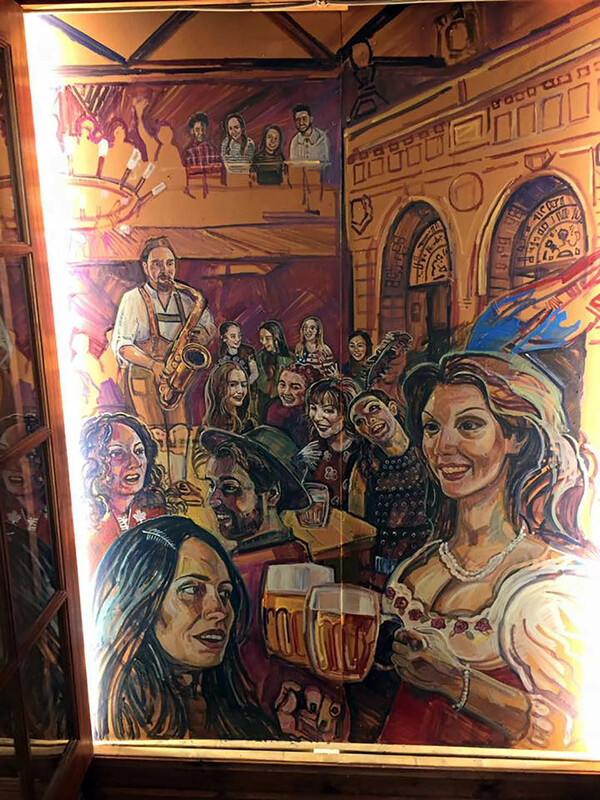 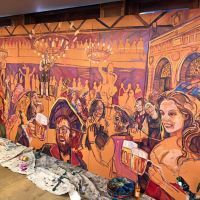 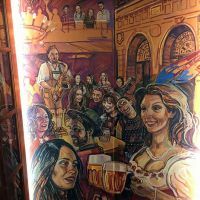 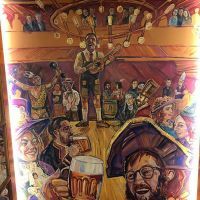 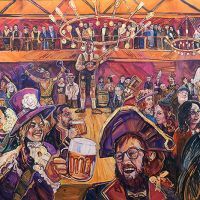 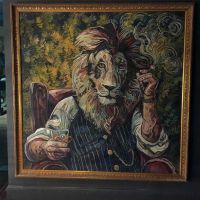 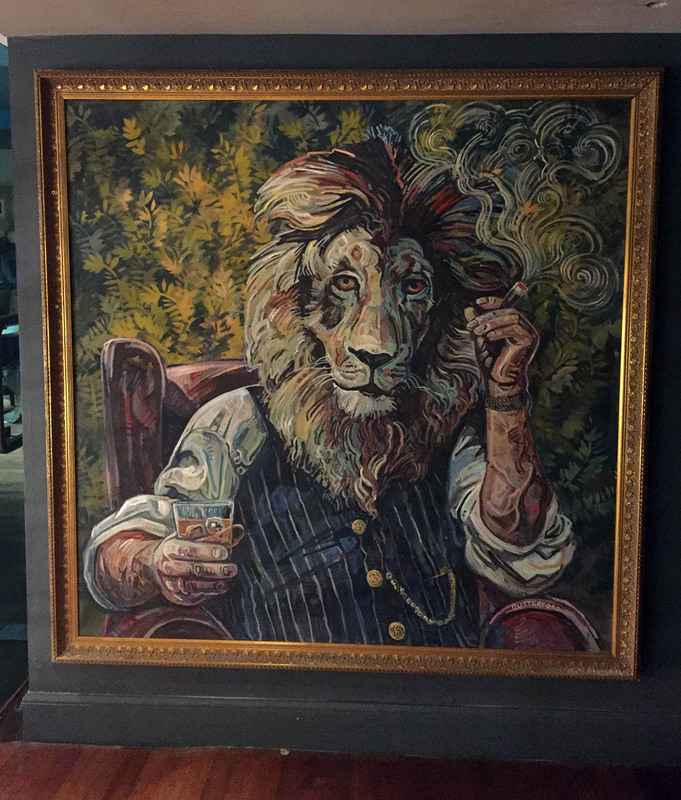 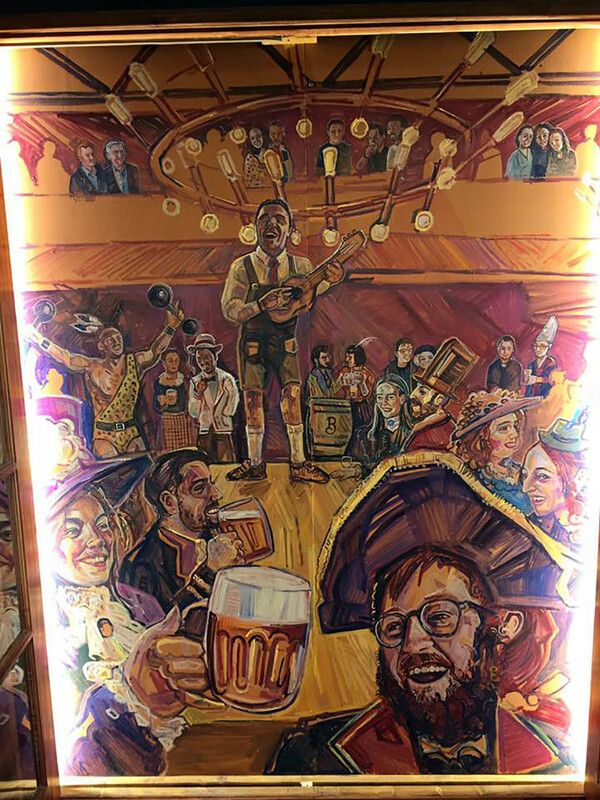 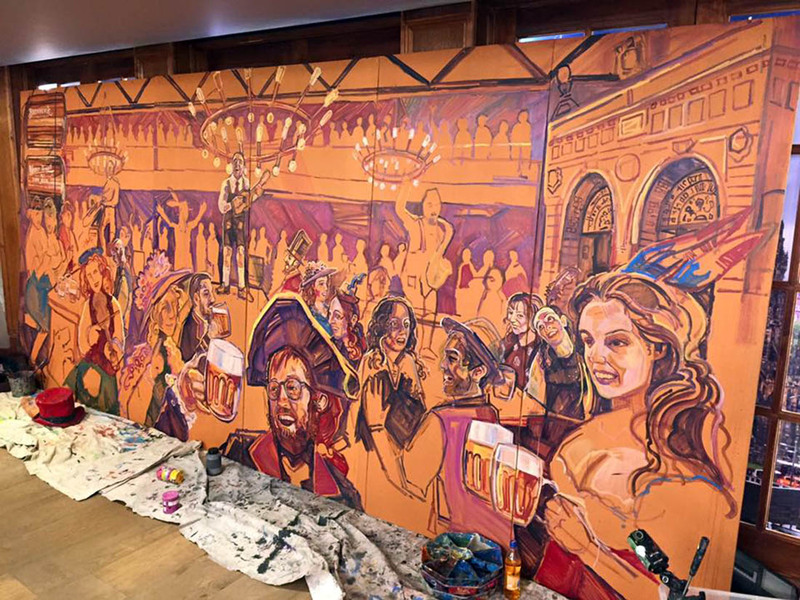 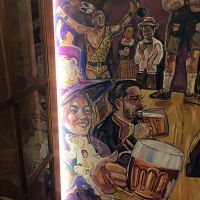 We created a beer hall mural to commemorate Pilsner Urquell's 175th birthday, with Chris live painting in front of watchful customers and staff, many of whom appear as characters in the party scene. 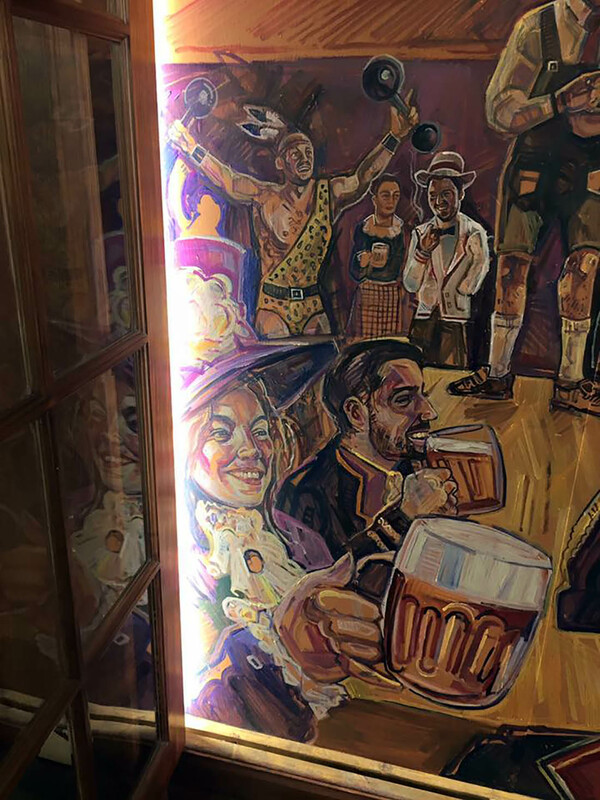 As with most of his crowd murals, Scottish TV personality Lorraine Kelly also makes an appearance. 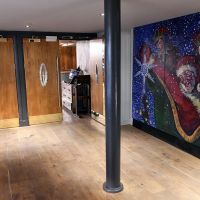 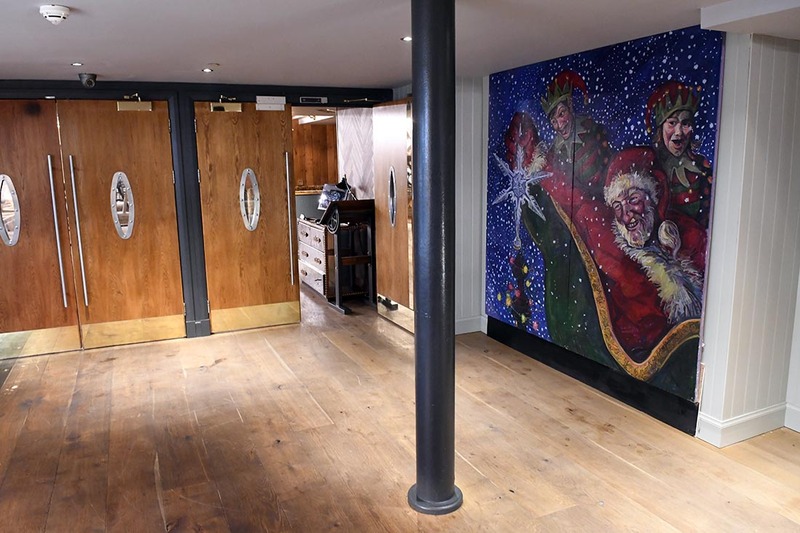 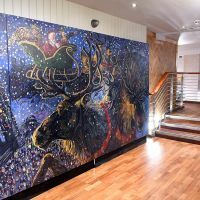 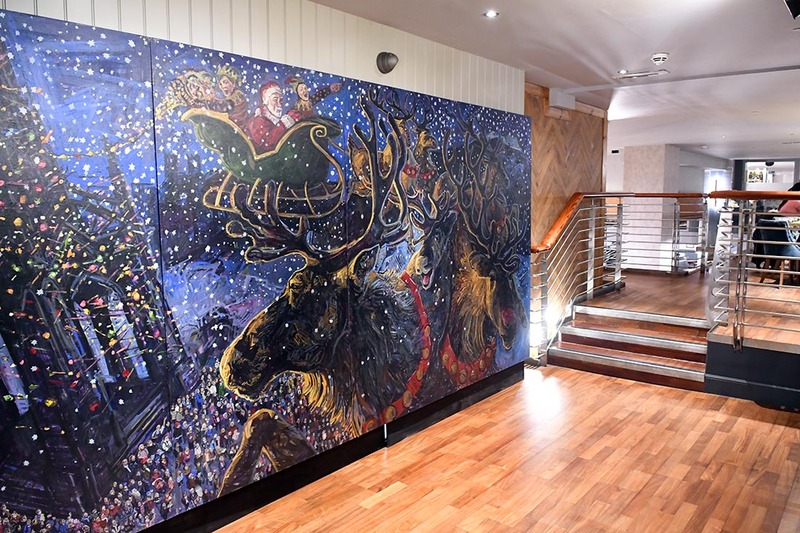 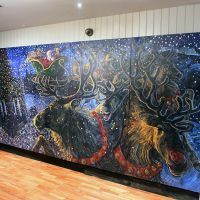 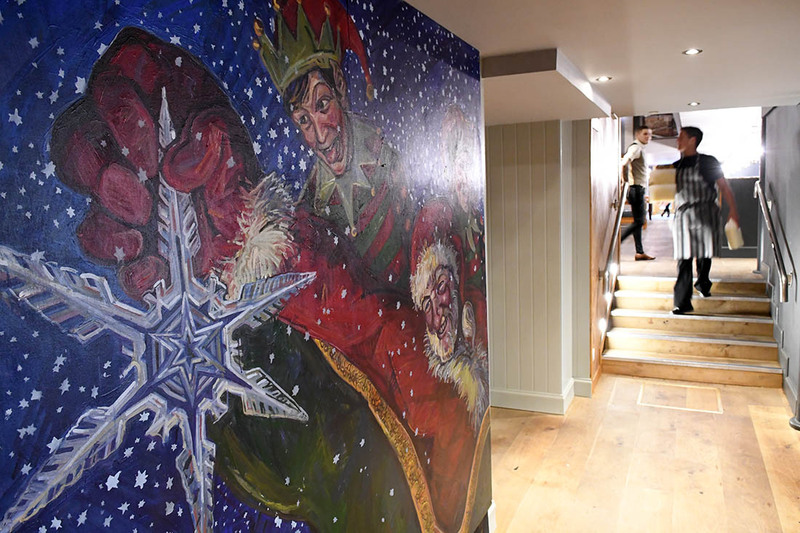 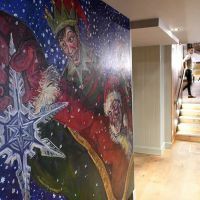 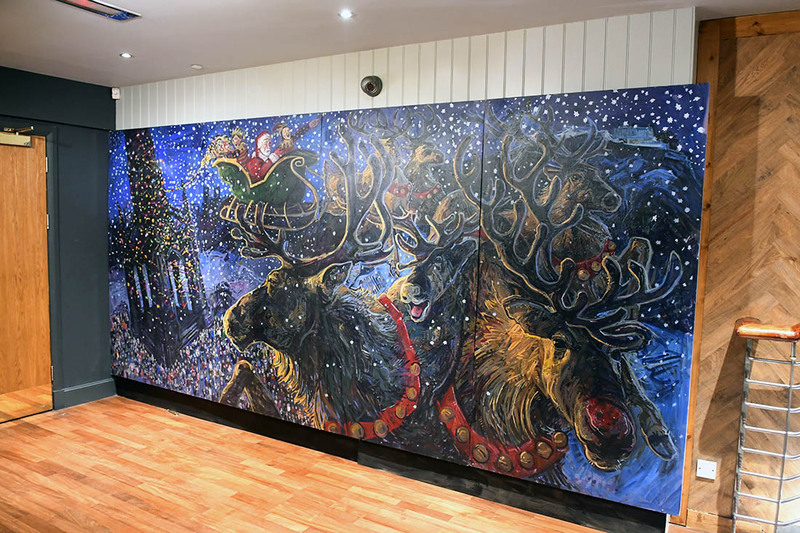 Over the winter of the same year several of Chris's peripatetic Christmas-themed murals were also used to create seasonal atmosphere.